Ian Shive’s work of the Marin Headlands headlines The Nature Conservancy Magazine‘s “California Dreaming.” Shive’s photos masterfully represent the San Francisco Bay Area’s iconic natural landforms. 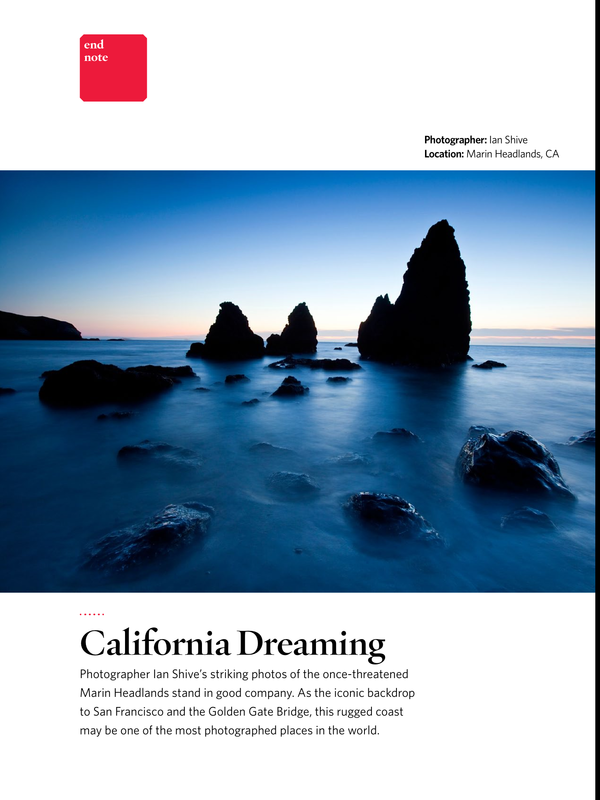 Issue #2 also highlights many of the other features of the Marin Headlands as seen through Shive’s lens. See all of Shive’s photos of the Marin Headlands here, or view the article and photo gallery here.